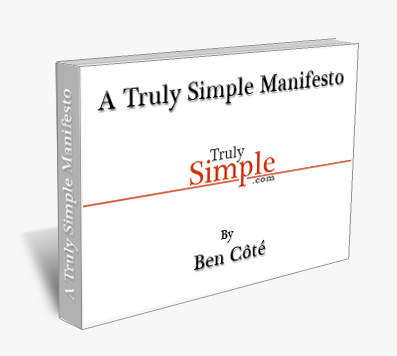 Thank you for joining the TrulySimple Newsletter! You have made a really good decision and should feel very good about yourself. If you like what you read, please pass this along to someone you know who might also like it. Together we can find that simple way to live and be happy. The manifesto should work on all computers with Adobe Reader installed. If you are having any problems, please let me know.